It has been demonstrated that, in the case of noble-metal nanocrystals, the electromagnetic, optical and catalytic properties are highly influenced by shape and size . This has driven the development of synthesis routes that allow a better control of morphology and size . Noble-metal nanomaterials have been synthesized using a variety of methods, including hard-template, bio-reduction and solution phase syntheses. Among noble-metal nanomaterials, silver nanoparticles have received considerable attention due to their attractive physicochemical properties. The surface plasmon resonance and large effective scattering cross section of individual silver nanoparticles make them ideal candidates for molecular labeling, where phenomena such as surface enhance Raman scattering (SERS) can be exploited. In addition, the strong toxicity that silver exhibits in various chemical forms to a wide range of microorganisms is very well known [16-18], and silver nanoparticles have recently been shown to be a promising antimicrobial material. For these reasons, and based upon our previous work regarding interactions of noble metal nanoparticles with biomolecules, we decided to study the interaction of silver nanoparticles with viruses. Herein, we present the first findings of our investigation, the discovery that silver nanoparticles undergo size-dependent interaction with HIV. Researchers at the Washington University School of Medicine in St Louis have shown that nanoparticles loaded with a bee venom toxin can destroy the human immunodeficiency virus (HIV) while leaving the neighboring cells unharmed. This discovery is a key step in the development of a vaginal gel that may prevent HIV from spreading. According to a research instructor in medicine, Joshua L Hood, in places where HIV is spreading at very rapid rates, this gel can be used as a preventive measure to hinder initial infection. 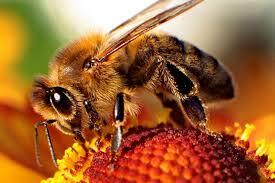 Bee venom contains a toxin known as melittin that is capable of forming holes in the protective envelope surrounding HIV and other viruses. The senior author of the paper and the J. Russell Hornsby Professor of Biomedical Sciences, Samuel A. Wickline, MD, also showed that nanoparticles loaded with melittin can destroy tumor cells. Protective bumpers were added to the surface of the nanoparticles so that normal cells are not harmed. When the nanoparticles contact normal cells that are much larger in size, they simply bounce off. HIV is smaller than the nanoparticle, hence gets attached between the bumpers and comes in contact with the nanoparticle surface. A benefit of this technique is that the nanoparticle attacks a major part of the structure of the virus. On the other hand, most drugs presently available prevent replication of the virus but do not stop the initial infection. Researchers also anticipate that the nanoparticles can be used for existing HIV infections especially drug-resistant ones. The nanoparticles can be intravenously injected and can clear HIV from the blood stream. They believe that many viruses including hepatitis B and C depend on the same kind of protective envelope and will be vulnerable to nanoparticles loaded with melittin. It is also believed that this nanoparticle will be as safe for sperms as they are for vaginal cells. Characterization of the tested silver nanoparticle. Characterization of nanoparticles is important to understand and control nanoparticles synthesis and applications. Characterization is performed using a variety of different techniques such as transmission and scanning electron microscopy (TEM, SEM), atomic force microscopy (AFM), dynamic light scattering (DLS), X-ray photoelectron spectroscopy (XPS), powder X-ray diffractometry (XRD), Fourier transform infrared spectroscopy (FTIR), and UV–Vis spectroscopy. These techniques are used for determination of different parameters such as particle size, shape, crystallinity, fractal dimensions, pore size and surface area. Moreover, orientation, intercalation and dispersion of nanoparticles and nanotubes in nanocomposite materials could be determined by these techniques. For instance, the morphology and particle size could be determined by TEM, SEM and AFM. The advantage of AFM over traditional microscopes such as SEM and TEM is that AFM measures three-dimensional images so that particle height and volume can be calculated. Furthermore, dynamic light scattering is used for determination of particles size distribution. Moreover, X-ray diffraction is used for the determination of crystallinity, while UV–Vis spectroscopy is used to confirm sample formation by showing the plasmon resonance. Nanotechnology and nanomaterial properties offer several ways to inhibit viral mechanisms. Gold and silver nanoparticles have been researched extensively for use in bioassays, imaging and therapy and are being considered for HIV therapy now.In a research conducted in 2009, gold nanoparticles were attached to SDC-1721, a fragment of the HIV inhibitor TAK -799 that acts via allosteric inhibition of the CCR5 receptor. SDC-1721 gold nanoparticles showed activity that was comparable to TAK-779.According to this, presenting tiny molecules on the gold nanoparticle surface can convert inactive drugs into viral inhibitors. Silver nanoparticles are capable of interacting with HIV and stopping in-vitro infection.The interaction of the silver nanoparticles with HIV was done in a size-dependent manner since particles in the range of 1 to 10 nm alone interacted with the virus. This is an attractive drug-free approach of viral inhibition and more work is required for investigating interactions between the virus and metal nanoparticles. University of Liverpool scientists are heading a £1.65 million project for the production and testing of the first nanomedicine for the treatment of HIV/AIDS. The Engineering and Physical Sciences Research Council (EPSRC) has funded this project, which commenced in 2012. The project aims at producing less expensive and more effective medicines with minimal side effect and can be easily administered to children and newborns. New therapy alternatives were obtained by the modification of existing HIV treatments known as anti-retrovirals (ARV).ARV drug particles have been recently produced at the university at the nanoscale, considerably bringing down the variability and toxicity in the way different patients respond to therapies.Professor Steve Ranard from the Department of Chemistry of the university stated that nanoparticles are being daily used to treat several conditions globally. He stated that if it were possible to show substantial potential from their planned clinical work then IOTA NanoSolutions will advance the research further. He also added that novel formulations will be tested for children in developing nations, offering HIV patients globally the prospect of more effective and safer treatments.Professor Andrew Owen from the Department of Molecular and Clinical Pharmacology of the University added that the data obtained thus far is quite attractive and will enable reduction of dosage to control the HIV virus. Presently, the number of HIV drugs available for kids is very limited and include many risks such as over- and under-dosing.Nanomedicines disperse in water, hence can be easily given even to newborns. ARV nanomedicines will be manufactured as part of the project using commercially relevant methods under clinical-grade manufacturing conditions. The pretest-posttest t-test quasi experimental design is selected for the current investigation. A low-dose (1200 ppm) and a high-dose (2500 ppm) treatment condition will be employed with 35 subjects in each group. Both groups will receive one intravenous infusion of picoscalar oligodynamic silver hydrosol administered once a week. Blood samples will be taken at the first intraveneous administration, the last administration, three months later and six months after the last intravenous administration. Blood sample assessments will be conducted for the four dependent measures used in this study: HIV viral loads, CD4 levels, T-cell counts and white blood cell counts. Other data such as body temperature, fatigue levels and standard clinical diagnostics will be collected for general appraisals of patient health and treatment efficacy. However, this general data will not be included in the main statistical analysis so that statistical power will be maintained. Fatigue will be measured for each individual before and after the silver treatment protocol using a fatigue scale developed by Chalder et al. . Measures of perceived self-efficacy will be selected and administered to each individual prior to treatment. Research and theory suggests that self-efficacy is an important factor in the adoption and maintenance of health behaviors . Eradicating the virus by activating latently infected CD4+ T cells and flushing reservoirs.Preventing infection using microbicides with drug half-life and enhanced epithelial penetration.Nanomedicines can considerably improve the health of HIV infected people and they are economically feasible too. Hopefully this promising technology will help find a cure for HIV/AIDS . It has been estimated that acquired immune deficiencs syndrome (AIDS) has killed more than 25 million people since it was first recognized in 1981 . Globally there are approximately 33.3 million people currently living with the human immunodeficiency virus as of 2009 . There is currently no cure for AIDS or vaccines to prevent this disease. The treatment protocols generally considered to be most effective typically involve two or three different anti-retroviral drugs used in combination . 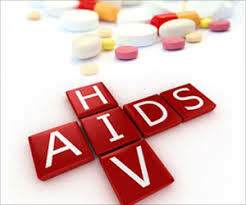 The use of antiretroviral drugs has reduced the morbidity and mortality associated with AIDS , however, a significant number of HIV infections have become resistant to antiretroviral treatment . The use of alternative treatment approaches has been a widespread practice since the existence of HIV/AIDS was first reported by the Centers for Disease Control of Atlanta . The cost and the politics of access to antiretroviral therapies, appears to have encouraged the use of these other treatment approaches. Stigma associated with HIV/ AIDS and denial are factors which have obstructed testing for HIV and the use of antiretroviral drugs . The effectiveness of alternative therapies has not been established, despite widespread use by people living with HIV/AIDS . When used in conjunction with conventional antiretroviral therapies these approaches have at times been referred to as “complimentary” treatments. Four different types of silver products are on the market for use in treating microbes. Colloidal silver products are colloidal suspensions of silver particles in water. Particles insilver colloid are typically 0.01 to 0.001 microns in diameter and carry a positive electrical charge . The one type of colloidal silver is called electro-colloidal silver made either by electro-arc method in deionsed water or the low voltage electrolysis method in distilled water. Concentrations are usually between 3-5 ppm but sometimes as high as 100 ppm. Mild silver protein chemically binds microscopic particles of silver to a protein molecule and is usually found in concentrations between 50–500 ppm. Silver salts dissolve in water and usually contain elements other that silver. They can be made either chemically or electro-chemically. Concentrations range between 50 –500 ppm. Powdered silver is made when a pure silver wire is rapidly disintegrated by high voltage electricity. This dust is added to water or added to salves and creams for topical use. Silver products behave differently in the body and in laboratory tests. Dosage and quality vary considerably, and regulatory standards do not currently exist. Silver hydrosol nanoparticles are presently used to treat HIV/ AIDS patients who legally request alternative treatments of nanosilver from the Immune Recovery Foundation. Data will be collected from HIV/AIDS patients until approximately 70 patients are assessed. 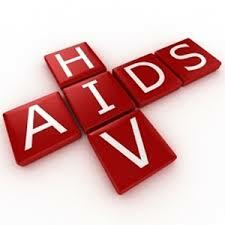 This information will be used for personal knowledge in treating patients with HIV/AIDS. A research of investigatory new drug (IND) form will be completed and filed.Previous investigation with HIV/AIDS patients made use mild silver protein and silver oxide. Nano-silver is considered to be more efficient because a greater amount of cell surface area coverage is possible with nanoparticles. The results of this assessment will expand knowledge regarding the role of silver nanoparticles in HIV/AIDS treatment protocols.